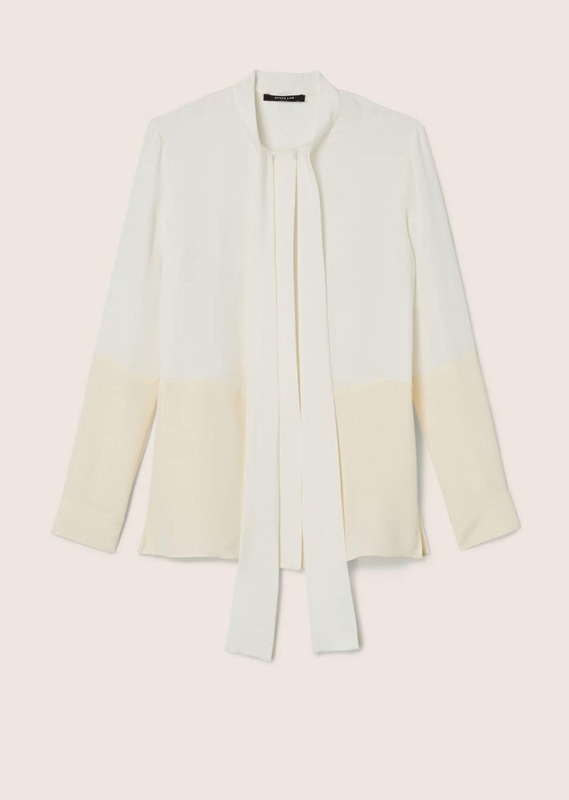 Colorblocked tie-neck blouse in beige and white 2-ply silk crepe. 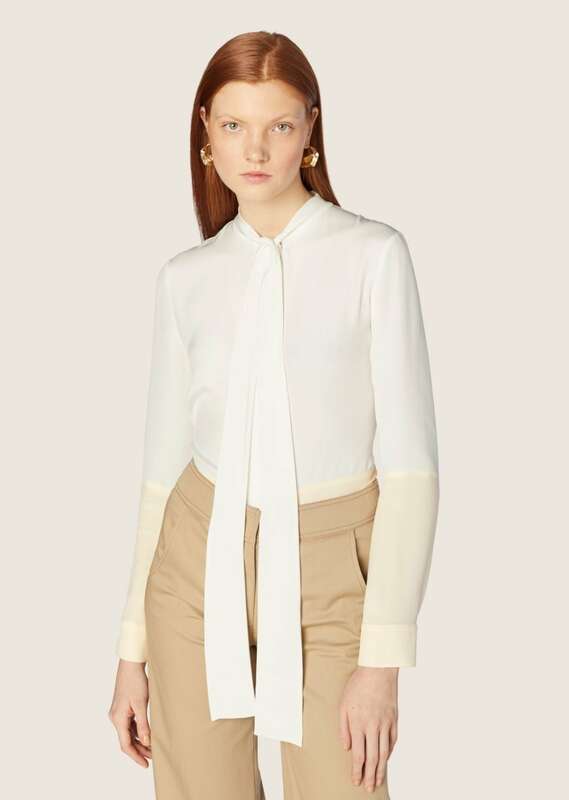 Long sleeves with gathered shoulder seams and narrow buttoned cuffs. Straight-cut hem. Imported.